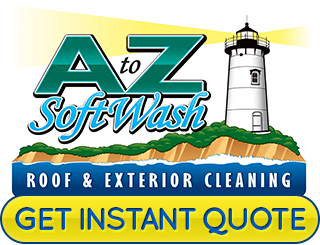 A to Z Softwash is the only name that you need to know when it comes to expert roof cleaning in Mashpee, MA. We take great pride in the work that we do and that is evident from the results we get for our residential and commercial clients. We believe in going the extra mile for every job that we do, including yours! Roof maintenance is an essential part of prolonging the lifespan of your roof. Too many homeowners end up having to replace their roof long before it should be time. Very often the seemingly insignificant black algae streaks are the culprit. Did you know that having algae, moss and lichens on your rooftop can make your home less energy efficient? The problem is that your roof will no longer be able to reflect sunlight and it means your home will require increased use of air conditioning to control the temperature. If you let black algae streaks continue to develop on your roof you are in danger of needing premature replacement. Roof cleaning is a whole lot more cost-effective when compared to completely replacing your roof, long before it should be time. You could even lose your insurance! Insurance companies are getting proactive about dropping policies for roofs that are at a high risk of falling apart because it simply needs to be cleaned. Do your research and you will quickly come to understand why softwashing is the preferred method for exterior cleaning. Smart homeowners and savvy consumers understand that anything harsher than this can end up damaging your home. We utilize this advanced technique to get you a deeper level of clean while safeguarding your exterior. Don't take chances when it comes to the quality of care that goes into cleaning your roof and your home. Believe it or not, you need fence cleaning as well. This not only helps your fence to look its best but enables you to have many more years of quality performance from the fence. 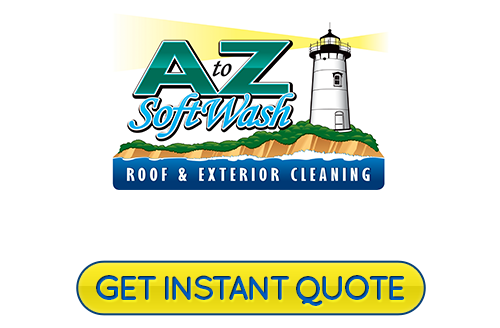 At A to Z Softwash, we look forward to working with you and providing you with the service you need, from softwash roof cleaning to pressure washing in Mashpee, MA. The bottom line is that we want to be the company that you turn to for your exterior cleaning service needs. Our goal is to maximize longevity and enhance performance, as well as appearance. 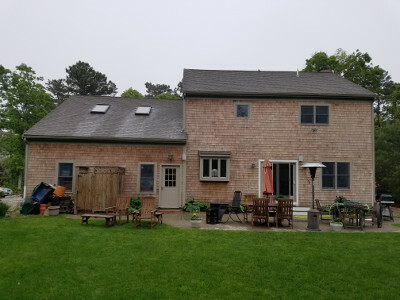 If you are looking for a reliable Mashpee roof cleaning or pressure washing professional then please call 508-209-7795 or complete our online request form.